No complaining in this post. I have settled into winter, and am enjoying the recipes that we only eat during the cold weather months. Lots of luscious soups and stews and good red wine to drink, and beautiful citrus fruits that are available now. I love winter citrus. It is not only healthy, but is colorful on these blah winter days. 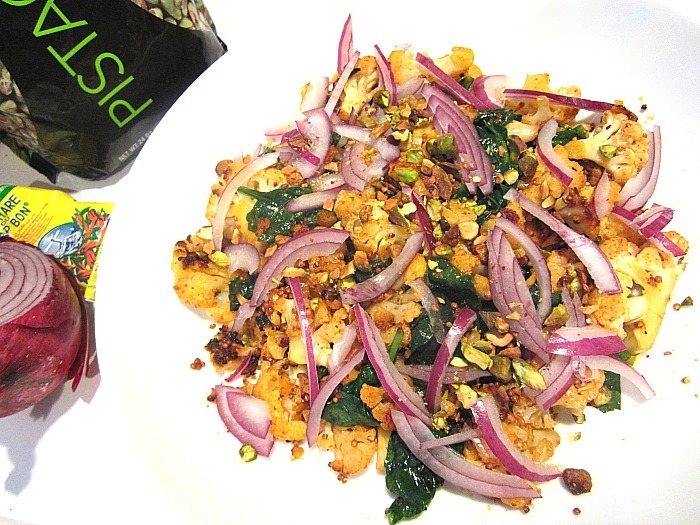 Here, I paired it with baby kale, red onion, pistachios and avocado. 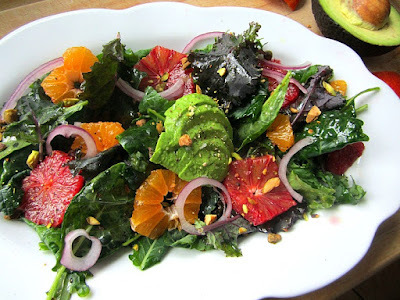 I made a dressing with some of the blood orange juice, white balsamic vinegar and avocado oil. A sprinkle of Maldon sea salt & pepper. 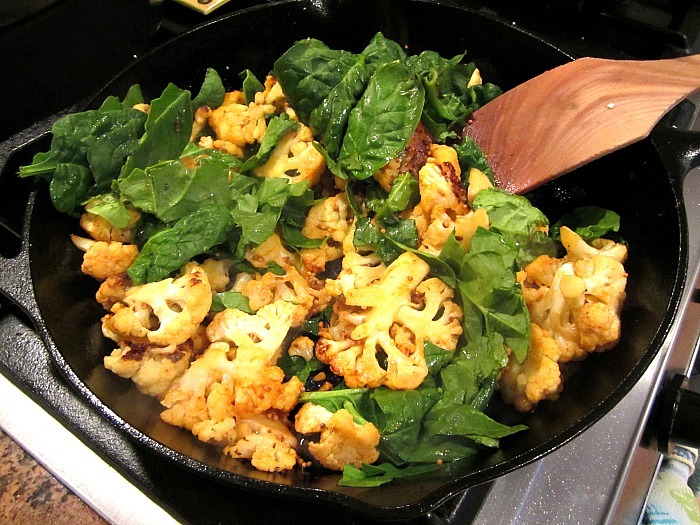 Try this Seared Cauliflower dish for Meatless Monday. You slice the cauliflower into thin slices and sear it in a cast iron skillet w/ coconut or avocado oil. You toast mustard seeds and use spicy harissa paste.......spinach, red onion and pistachios. 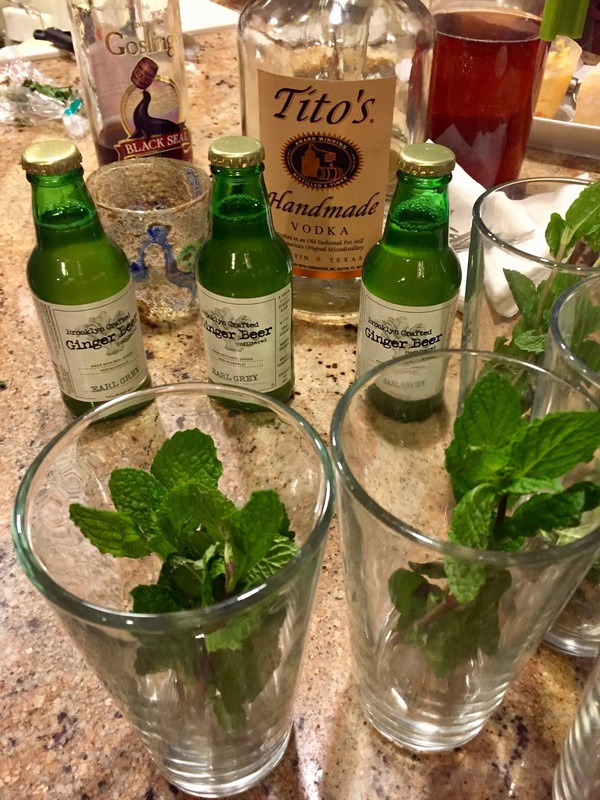 Recipe from The Doctor's Kitchen by way of Dr. Mark Hyman (hey, they are both MD's!). 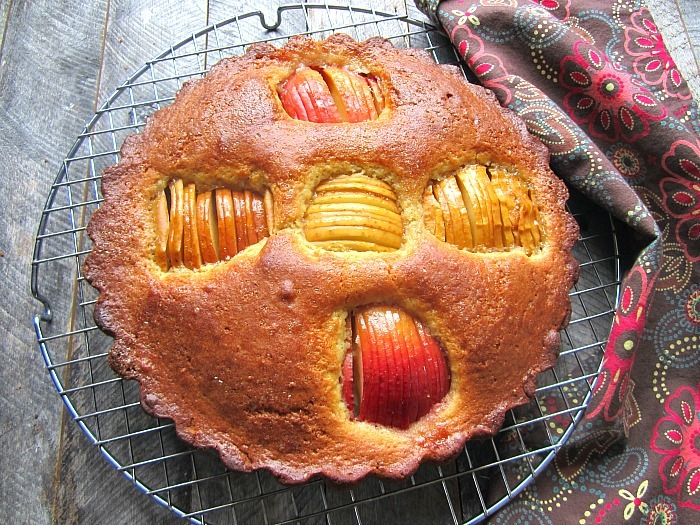 I baked this lovely apple cake (yes, another apple cake.....sorry, not sorry). The recipe here, adapted from Spoon Fork Bacon. 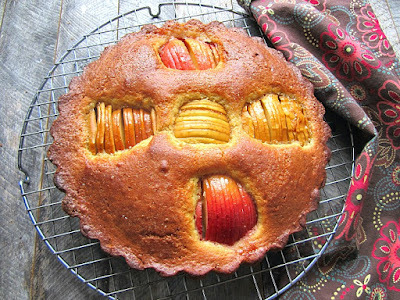 I added in a teaspoon of cinnamon and used my beloved stash of Tate & Lyle golden caster sugar for this one. I love when a reader reminds me about a recipe! 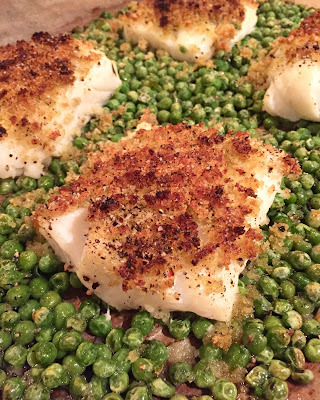 As was the case with Roasted Cod with Peas.....a one pan dinner that is sure to please. And with the leftover cod (I always make extra food for tomorrow), you can make fish tacos or kedgeree (a British rice and fish dish). Being a food blogger for 10 years does have its perks.....I get to try a lot of new products. 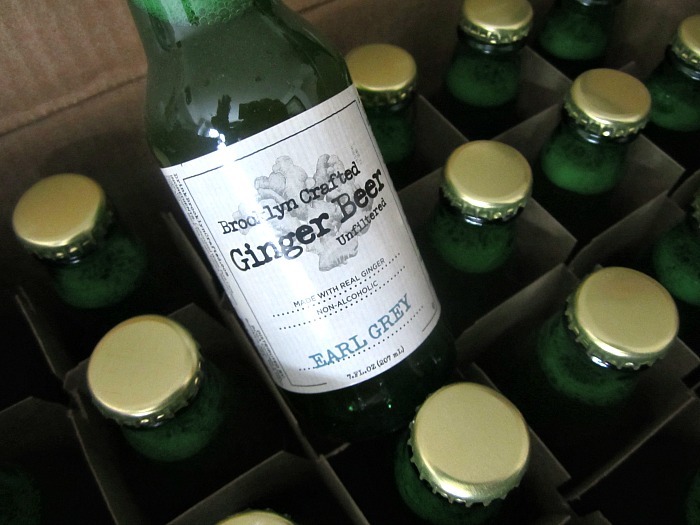 I only mention them here if they are great, as is the case in this case of ginger beer! I loved the Earl Grey flavor the best. Brooklyn Crafted Ginger Beer.....made 30 miles from my home, with real ginger at the bottom of the bottle! Here is a great recipe for one of my favorite cocktails, some call a "Moscow Mule" or "Copper Penny", and it's all the rage now, traditionally served in a copper mug (which I hear is not good for you, because the alcohol leaches into the metal vessel.....I can't keep up with the warnings). I like to drink my Mule in a cocktail GLASS....I don't like the SMELL of metal every time I take a sip (oy, what a pill I am). Pour into Collins glasses and sip! I love them. You can order them in cans here on amazon. I found a new favorite way to serve green beans. You top them with luscious gremolata! This stuff is amazing. Boil your beans for 3 minutes only and drain into a colander. In the same pan as you cooked the beans, heat some olive oil and cook the shallots for a minute or two until soft. Add in the rinsed beans and stirfry them for another 3 minutes. Season with sea salt & pepper. 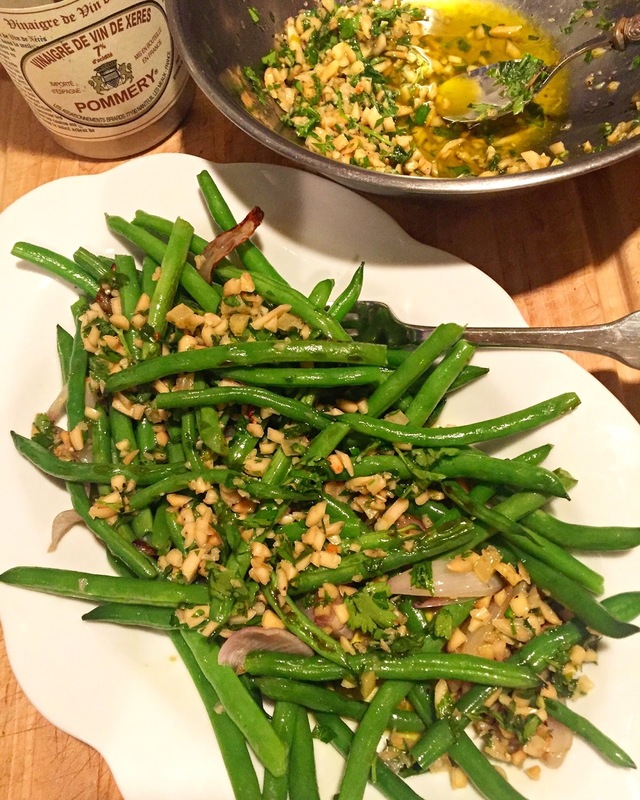 Add the green beans and shallots to a bowl and spoon the gremolata on top! You can also use this delicious sauce for roasted or boiled potatoes! I made “your” cauliflower fried rice the other evening paired with teriyaki boneless pork. My guy has been begging for stir fry so this made him very happy ;-). I agree, the lovely red wine has been needed to get me through the dark days of January and February. I know the days are getting longer but this time of year just gets to me, ugh. Have you been noticing the climbing prices on fruit and veggies? Makes me even more conscious not to let a scrap go to the compost pile. I’m all over the place today, sorry. I'm right behind you. This is my least favorite month....however, February is shorter than the others! I always plan a trip for this month to keep my spirits up! The older I get, the more winter annoys me, though this one has not had a lot of snow for us (thankfully). We will be seeing rhubarb and asparagus before we know it! Stacy, we drank Moscow Mules in copper mugs at a beachy bar in Laguna Beach (Coast Inn?) when we were in college eons ago. They were trendy and new. Featured a cucumber wedge for a stirrer and the ubiquitous lime wedge. Neither the drinks nor the copper mugs killed us! A really delicious drink!